As believers, we all share the purpose of building the Kingdom of God and using our lives to glorify Him. God calls each of us to pursue the calling He has placed on our hearts, but oftentime His call seems impossible, or at a minimum, outside of our comfort zones. Being grounded in our faith, confident in who we are and knowing why we do what we do is an important part of following God’s call on our lives. In this course, you’ll receive encouragement, challenges and tools to practically and successfully follow God’s calling that is specifically yours. In this lesson by Lisa Allen, we will identify, renew and gain tools to guard the calling God has placed in your heart. The coaching insights will help answer the questions: What is my calling? Who is calling me? To whom or what am I called? It’s easy to know what to do and how to do it if you’ve clearly defined your WHY. Your WHY lives inside of you and bubbles up as passion that fuels your calling. What is your WHY? How can you develop a mission statement that will bring clarity and confidence to your calling? This teaching by Lisa Allen will walk through concepts to consider as you begin to develop your own mission statement. The way we stand firm depends on the shoes we wear, the position we take and the ability to dig into the ground beneath us. This teaching by Lisa Allen will highlight several Bible passages that implore us to stand firm while we unpack ways to dig our heels deep in the midst of any circumstance we face as a writer, spouse, parent, friend or neighbor. What do you do when you feel like you’re doing all you can to grow in your ministry, yet feel invisible, insignificant and irrelevant? This lesson by Lisa Allen will help you see your calling from God’s perspective. This view will help move you from invisible to seen, insignificant to purposeful, and irrelevant to meaningful. You can’t control things that happen, but you can change your response. In this teaching from a previous She Speaks conference, Shauna Niequist shares how she struggled with feeling exhausted and isolated, tired of being tired, and burned out on being busy. It was a time when she longed for connection, meaning and depth, but seemed to always be settling for busy. You have the best intentions to write, but by the time that slot on your schedule arrives, you lack the motivation to start. Have you ever wished you had more willpower to press through the resistance? If so, then this teaching is for you. In it, Glynnis Whitwer shares some insight on willpower: Where it goes and how you can protect this finite resource. Whether it’s rush-hour traffic, the doctor’s office or the DMV, we are constantly faced with times of waiting. Even in our writing, we wait for words to come, articles to be published and book proposals to be accepted. This teaching will help us wait well as we are joined by special guest and Proverbs 31 speaker and writer, Wendy Pope. It’s one thing to dream of writing, another thing to find the time and space to sit down and do it. Especially while juggling too many at-home and at-work responsibilities. Who has time to write when the bills need to be paid and dinner made? 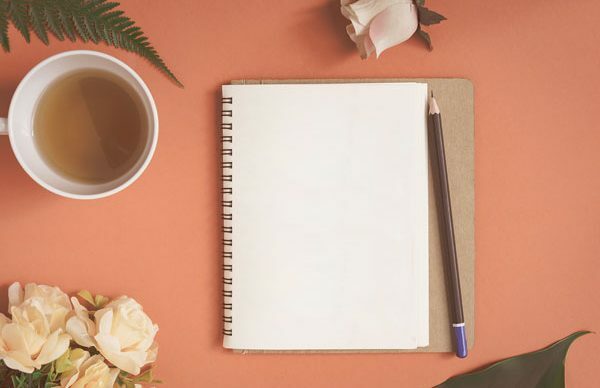 Michele Cushatt knows firsthand the daily struggle to find space for her love of writing in between parenting six children, running a thriving business, and navigating personal limits.